The recent Pathways through Participation report highlighted how difficult it can be for councils and other official bodies to engage “the community”. Community is lots of different people, and they usually follow their enthusiasms rather than the prescription of policy makers, connecting around interests or concerns. As I wrote over here, it’s proving a challenge, for example, for those who want people to set up new local councils. On the other hand, there are thousands of examples of people engaged in amazing local projects. The Transition Network has recently produced a set of ingredients to help projects develop – as I wrote here – with guidance on how people can create their own recipes. Although a network like Transition can provide enormous support and inspiration, people powered change doesn’t necessarily need a cookbook … though as I found last week, tasty cooking can provide a good starter for community-related conversations. Over the past couple of years Tessy Britton and friends have developed the Social Spaces project, where food is a recurring theme. When Tessy set off to run a series of workshops around the country, it was as the Travelling Pantry. That has now evolved into the Community Kitchen. In order to document and inspire more projects, Tessy and editors have created Hand Made books using the Blurb self-publishing system. As Tessy explains here, more editors volunteered, and there are scores more Community Lovers Guides in prospect. Our first thought was to shape an event that brought together some of the amazing people we know to share some of the research, strategies, and other transdisciplinary emergent community stuff our heads are currently immersed in. Which of course would have been lovely… and we hope to be doing a lot of that sort of event in the coming months. But instead we decided to do a PieLab event for the whole day on the 28th – thanks to some bright thinking from Laura Billings. This means that we will just to be hanging out at the Hub, sharing free pie and chatting to everyone that wants to pop by. In all our workshops we talk about PieLab in Greensboro Alabama – one of our most inspiring projects. The Changemakers’ Fayre gives us an opportunity not only to talk about PieLab, publish books about PieLab … but to actually ‘do’ PieLab. Community Lover’s Guides – with over 35 local editors volunteered so far – are surfacing creative new-style community projects across the world. Not only are these stories inspirational, but they are revealing and sharing new knowledge being created at community level, by communities themselves, about how to develop successful projects. Communities need to learn from one another about how to design whole-community change more strategically – rather than continue to start up projects which do not work collaboratively with other projects locally, which are undervalued by government or themselves (largely because they start need to start small), or that don’t get built upon in a strategic and developmental way. Roughly 75% of organisational change efforts fail in their attempts to effect transformational whole-scale change. At community level we are only just starting to think about how we might measure the effects of people-led initiatives properly. At Social Spaces we are concerned not just with direct impact assessment and engagement numbers – but in the important multiple layers of effects (1st, 2nd and 3rd hand effects) these many projects have on very serious issues such as isolation, depression, youth offending and unemployment. The level of sophistication in our thinking that we need to start deploying is now urgent, if we are to understand how to co-produce our communities (rather than services), working in collaboration with local authorities and businesses. I feel that we all need to become much tougher on ourselves about how we support this essential level of collaboration, particularly how our policies and funding strategies encourage or harm collaboration at local level. Projects and strategies largely don’t fail because of motivation – but they can and do fail because the knowhow about how to effect change strategically is emergent expertise at local level. This new knowhow needs to be recognised and disseminated into practical, working knowledge. Community Kitchen is our project which aims to to this. People living in all communities have the capacity to become ‘social designers’ – very many already are. With the help of hundreds of projects and editors, the Community Lover’s Guides are going to help this knowledge of how to do this successfully become more widespread- using their imaginations and assets – but also the emergent creative tools and methods available to communities today. As you can see from Tessy’s description, change takes more than a piece of piece … but it’s a great place to start. Can people power bring the internet to remote communities? I’m writing this a few hours before setting off on an odyssey around the country, highlighting the problems of rural communities which suffer from poor, or non-existent, broadband connectivity. Many of these communities are also the same areas which struggle to get mobile phone signals. The idea for Can’t Get Online Week came about due to the clamour of frustration I heard every year during the official Get Online Week from my contacts in rural communities whose locations at the end of very long copper wires effectively excludes them from many of the benefits of the modern world. There has been movement in recent months; Government has pledged some £530 million to addressing the rural broadband divide. But, match funding rules and procurement regimes, threaten to delay the implementation of solutions, and, all the time, children are growing up and missing the opportunity to complete homework tasks online, businesses are relocating to areas with better connections, and rural areas are being depopulated, in part due to this disconnection from the 21st century. And, even when the Government-driven broadband plans are rolled out, there will still be at least 10% of communities which remain beyond reach. This is why some communities have taken the bit between their teeth and connected themselves to the network, deploying a wide range of different technologies, including, crucially, in a number of cases, farmers digging up their own fields to lay fibre cables. Here’s an example, where Chris Conder tells how she installed fibre connectivity to her own farm in Lancashire. In the era of people-power and localism, I often find that DIY internet-connectivity in areas the mainstream players cannot reach is still a little known phenomenon. Similarly, many people who DO enjoy good connections are often ignorant of the plight of the plight of those who don’t. Thus the twin aims of Can’t Get Online Week. I will be touring rural areas, from the New Forest, to Essex, Norfolk, Staffordshire, Shropshire, Lancashire, Cumbria, Durham, Northumberland, and Yorkshire, aiming to tell the stories of the disconnected, and what being disconnected means to their lives, as well as offering them opportunities to experience what difference being online, with decent connectivity might make. This is a story-telling journey. I want to tell the story of disconnected England, while providing the people who live there with an all too rare platform to tell their own stories. I hope that, by the end of the week, we will have made some small difference to their lives, brought a little closer the day when they can get online, and done something to join up the connected and the disconnected. 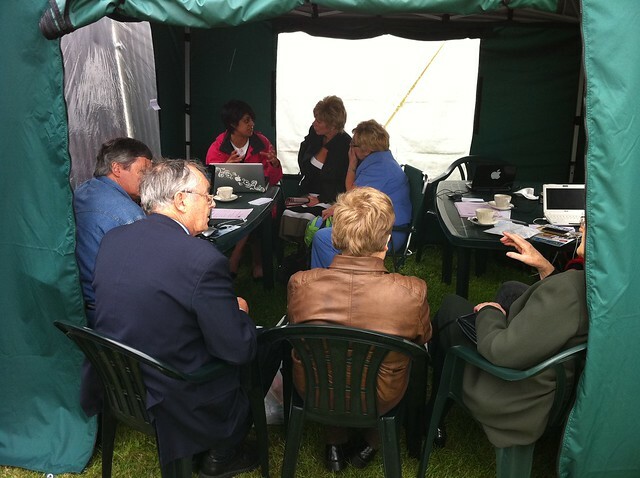 Among networks that help local projects share experience, with support but not dominance from the centre, the Transition Network stands out as one that blends the best of event facilitation, online systems, and how-to advice. I think it’s a model that People Powered Change should look at for inspiration. Today the network announces really innovative developments on several fronts, with an inspiring Transition Companion book about creating local Transition projects, a directory of the ingredients and tools to do that, and a set of cards that help people play through the methods. The role of the network is “to inspire, encourage, connect, support and train communities as they self-organise around the transition model, creating initiatives that rebuild resilience and reduce CO2 emissions”. At their recent conference, which I reported here, Transition founder Rob Hopkins gave a preview workshop and explained how the companion is based on pattern language. Here’s an interview from the conference with Charlotte Du Cann, who is also leading a social reporting project in the network. The previous Transition Handbook (pdf here) took people through a 12-step process of setting up a local project – and I find groups love that sort of apparently simple approach, until they find that it isn’t a simple sequence. The process of building a group, developing ideas, learning new skills, working with the local council, starting on projects has to be crafted to the local situation. Back in the 1970s Christopher Alexander worked with a group of other architects to develop the book A Pattern Language as a way of expressing the relationship between spaces, buildings, and their components. So – if you want this sort of house, it may need that sort of setting, and this set of rooms, which may require that sort of furniture. It’s all about what works with what. Christopher and Rob met up, as Rob reports here. Rob has used the inspiration of pattern language to recast the handbook as a companion, using ingredients and tools as an easier-to-understand version of patterns, with lots of examples of the creative activities local groups engage in during their development. Local groups create the recipes appropriate for them. My friend Ed Mitchell, who manages the online side of the network, has worked with his web team to turn the ingredients and tools into a directory around the five main stages of development: Starting out; Deepening; Connecting; Building and Daring to dream. Within each there are ingredients (for example, Measurement, Visioning, Building Partnerships, Celebrating, Storytelling), with links showing where other ingredients may be relevant, and what tools are appropriate (for example, Energy Resilience Assessment, Finance, Volunteers). Each ingredient has summaries of the Challenge it aims to meet, a Description, and Solution … rather like the original pattern language … together with longer content. Translation the Transition companion to an online environment a really impressive achievement. Ed and I have discussed the potential of pattern language in the past, and I’m using some of that thinking in game development with Drew Mackie … however, Ed has now made it a reality online. Transition has also given us a download of the set of cards, beautifully designed by Marina Vons-Gupta. The book, the web, and the cards are are an integrated set of resources that – as far as I know – are unmatched for this sort of purpose. Anyone know of anything similar? I have the book, can browse the site, and will now download the cards, and report further. I just wanted to get something up here quickly, as context for the interview I’m doing shortly about People Powered Change developments. “We now have an 18 month project to start to bend some virtual boundaries and build some bridges between Transition Initiative websites, enabling their visitors to read and add to the projects directory all from the comfort of their own local websites”. The Transition Network approach is to encourage local groups to develop in their own way – using some centrally-created ingredients and tools – and then use the Transition framework to share their experience. The website aggregates the local content, rather than simply broadcasting centrally. The Transition approach is different from that adopted by the BIG Village SOS project, for example, which has a centralised system. There’s no right or wrong – it depends on the context, and what you are trying to achieve. I think Transition can go for a decentralised system because there is a strong set of Transition principles and ingredients that will inform local development, and the content that flows from local groups. They are committed to sharing. The many projects funded by BIG, who may share experience through People Powered Change, do not at the moment have anything in common but the BIG funding. Most of them probably don’t have any web presence … so it isn’t possible to get a feed from them. I think what will be needed at the start, if BIG want to move forward, is a combination of the sort of social reporting project that Transition is piloting, combined with the local online training and support provided by Talk About Local. But that’s just a couple of the ingredients, and over the next month or two we’ll be looking for more. I love the way things turn up online if you keep an eye out. I’m shortly due to do a video interview at the Big Lottery Fund about their vision for People Powered Change, and in particularly how we can explore the benefit of networky ways of doing things to help the community groups who get grants, and national partners, share ideas and experience. The BIG Village SOS initiative has the BBC, a dedicated website, roadshows and staff to promote sharing. Can we do something lightweight and complementary, that draws in part on the strength of the hyperlocal movement promoted by Talk About Local and others? There people are learning how to use simple online tools to tell their own stories, and connect with others. You can read our brief here – but in the spirit of social reporting we all thought it much better to turn it into a public conversation, starting with the interview. That way people can see who is the BIG champion for this approach, and we will have a clear framework. We are hoping staff in BIG, and partner organisations, will join in the reporting … and the in-house reporters will benefit from some top-level leadership and encouragement to feel comfortable venturing out in public. This approach is all radical stuff for a big funder – and we have a modest budget – so I’m looking around for any ideas that will give us confidence, and help us learn from the experience of others. That’s where the online serendipity comes in. My friend in the US, Beth Kanter, is a world expert in how networks can benefit nonprofit organisations: she written a great book with Allison Fine . That’s the bottom-up bit. Beth is also writing about the way that funding organisations can embrace and promote networking. The report to read on that is Connected Citizens, which I have recommended to BIG. Then this morning a tweet pops up from Beth alerting us to a conference she has been reporting about funders and networking. Wow – great context for my interview at BIG! But how to make the connection? I can send an email, write a note … but how to do something in the spirit of the open connecting that we are exploring? Scott continues: “I’ve always been fascinated by how and why some people “see” open triangles and “act” to close them – while others do not. It was good to see how different people are aligning sector culture, systems, and incentives to encourage individuals and institutions to take the extra time to magnify their impact by closing triangles. We saw evidence of it in the networking. We see it when people share documents/templates. We see it through curation and what Beth Kanter called sense making”. Another Wow. Sense making is one of the three main activities of social reporting – as I see it – together with joining up, and helping others use new and old media. 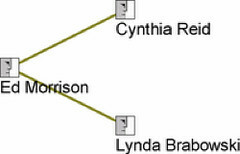 Closing triangles is reporter as network weaver. “My job I think is one of the best jobs in the world, it’s about engaging with people and encouraging them to apply for lottery funding. The Big Lottery Fund distributes approximately 600 million pounds a year to good causes and that money comes from the lottery playing public, for every pound that’s played on the lottery, 28p of it goes back to good causes and the Big Lottery Fund distributes half of that”. I’ve potentially closed the triangle between two people committed to innovative ways of supporting local action. Knowing both I’m fairly confident that they will be happy that I’ve done it publicly … and I hope that online and other exchanges may follow. Beth visits the UK fairly frequently, as you’ll see from this Guardian event, with a video interview here. Hmm, maybe we could organise a video link between BIG and Beth, and show that discussion here. Am I pushing things a bit here? No gain without a little reporting risk, about which more later. Update: my tweet on this post was re-tweeted by Big Lottery Fund, so our online conversation seems to be on-track. Thanks BIG. Can new local councils offer Power to the People? One theme in our reporting about People Powered Change will be around the structures within which people can have influence and make decisions. Your Square Mile – which is one of the partners in ppchange – invites people to become members of the mutually-owned organisation, and has said it aims to foster the development of thousands of local democracies as more people join YSM and engage in their communities. But what about more traditional democratic structures? As I wrote the other day over on my personal blog, the National Association of Local Councils (NALC) – which represents parish and town councils – argues that that “if local people are elected by their community to influence and make decisions that will affect their own area, it will have significant impact on improving lives throughout the capital”. NALC are using the slogan Power to the People. In their media release of October 17 NALC suggest the engagement of people after the recent riots, in helping clear up their neighbourhoods, could be supported by new, small, local councils. The creation of new local councils in London would give communities a voice and this in turn could help address some of the underlying causes of the recent London riots. Local councils have already been created in urban areas such as Leeds, Birmingham, Bradford and Milton Keynes and have helped address social issues caused by deprivation by providing community leadership and brokering relationships with Government at large. Localism and the Big Society have been much heralded and discussed by the Government and the Prime Minister himself, prompting much debate from Whitehall to town and village halls. What better way to ensure local ownership of decisions, control of assets and to get people involved in their area than to genuinely give power to the people. Until recently Londoners were not able to campaign for the creation of local, neighbourhood-level councils like those in parishes and towns elsewhere. Their “local” is the borough. On Tuesday evening I went along to NALC’s Create a Council event, where we heard from several people about the possible virtues of additional smaller councils that would have powers to raise money and control some local services. I talked to David Drew, who is chair of Andover Town Council, together with Justin Griggs from NALC. David explained Andover now has a five year plan, a programme of consultation on developments with local people, and more powers than previously available to decide the direction the town may take. Justin says local councils could put people in the driving seat in London, and bring a greater sense of community to the capital. One area considering whether to go for a local council is Harlesden, where campaigns have already brought many improvements and the creation of the Harlesden Town Team. I talked to Leroy Simpson, chair of the team, about the possible benefits of a new local council. He felt it was one option that would give people more ownership and governance over the improvements that they have achieved. Not everyone agrees that more councils would be good for local engagement. Local engagement structures are jarringly out of touch with the communications practices and life pressures of the modern citizen. Possibly only the courts and parliament have a greater whiff of the C19th about them. Will argues that tinkering with structures won’t make much difference: you need to follow where people are going, and for many that is online. He and others agreed that neighbourhood plans and budgeting are going to be an important focus for local discussion and decision-making. As I found the other day, talking to Richard Edwards, participatory budgeting is one way to both engage people on local issues and increase voting. Later this week I’ll take a look at the Transition Network, that “supports community-led responses to climate change and shrinking supplies of cheap energy, building resilience and happiness”. As Leroy said in our discussion, what’s important is looking at the options for greater people-powered influence, and deciding what’s appropriate in any community. Fortunately there are now quite a few. Local democracy is important: but will we vote for it? Rosie Niven provides a good round-up of the background and issues here for BBC London: Are Londoners ready for parish councils? Thanks to Fred Garnett for camera work with my iPad. I was using an iRig mic, which works well in noisy situations. If you couldn’t make it to last night’s London event, there’s another one for up to 30 people on November 29 – sign up here. Although we’ll be writing a lot here about the potential of social media to help people tell their stories, share ideas, start and continue conversations, it is seldom enough on its own. In fact, it is still very much a minority medium in the field of local community action – however powerful it can be, as shown by the work of hyperlocal bloggers (examples here, and we’ll be mapping more). One creative way to blend online and face-to-face is to report from events, and we’ll be doing lots of that. I often cover conferences – like this excellent one with Transition Network – and fellow-reporter John Popham is pioneering amplifying fun: see the 21st century village fete and Twicket, which even has its own Wikipedia entry. Drew Mackie (the third member of our team) and I run a lot of workshop games, which lend themselves to reporting because they are designed to generate ideas and insights, which people are usually happy to share … not least if it is about social media as you can see here. Last weekend Drew and I ran a session at the Community Matters conference, while I first wrote about over on my personal blog: reposted below. 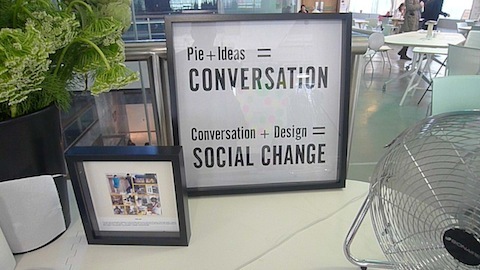 More here about socialreporters.net and our work with BIG and People Powered Change. 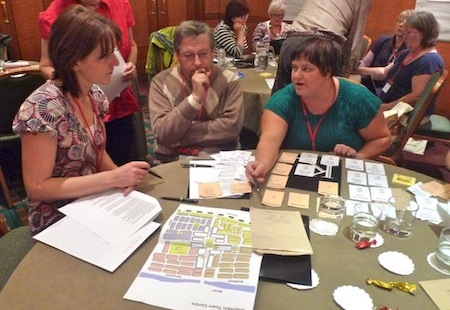 The Community Matters annual conference last weekend gave Drew Mackie and I a chance to test out a new workshop game that we hope will help local groups plan take over and run community buildings – or improve the ones they have. This is particularly challenging when councils are disposing of property in order to reduce costs, when local groups face cuts in funding – yet the demand for community services is increasing. Our workshop produced lots of conversations about the realities of people powered change. We started talking about buildings, staff, finance … and ended up focussing on community and collaboration. You can't get practical experience from a book. Or online. After chatting with Richard Edwards from Manton Community Alliance, at the Your Square Mile launch, about their success with participatory budgeting, we turned to ways in which people could share ideas and experience of what’s working in their community. As Richard remarked, it has to be more than exchanging leaflets at a conference, and even if you are engaged by someone else’s bright idea, there’s a lot more involved in actually making things happen. Richard believes that there is no substitute for learning by doing: people can’t learn project and community development from books, and have to build up their confidence and skills through on-the-ground experience. Wouldn’t it be great if there were a scheme by which people could spend time at each others’ projects working side-by-side in order to develop practical experience? This led us on to talking about mapping the assets and expertise that we have, in order to make best use of these in facing new challenges. Increasingly that is done locally, and is the basis for the practice of Asset Based Community Development, as explained by Jim Diers at a People Powered Change seminar in June. However, if we are going to share knowledge nationally, we need to do some national mapping. As part of our work with Big Lottery Fund we’ll make a start on mapping the national networks and online spaces. While it may then be easier for people to see who is doing what, and to connect online, in Richard’s opinion they’ll need to make the physical trip to achieve some real learning. As he said, we have the skills and experience … we need to unlock the potential. Is there a case for funding the people exchanges as well as the technology-based connections? Last week, David Wilcox and I visited Dudley at the invitation of Dudley CVS’s Lorna Prescott to document some of the work that is going on there to join up some of the different initiatives intended to assist local people-led development. Partners in the Borough have been realistic about the new environment they have found themselves in since major public spending cuts started to be felt. Finding that the government’s “Big Society” rhetoric was not necessarily appealing to many in their communities, Lorna was instrumental in helping local partners to come to their own vision, which embraced the Our Society concept, which Lorna, David and I have helped to develop on a national basis. The local Our Society strategy has moved forward, powered by the drive of people like Lorna, and with the leadership of the Borough’s Local Strategic Partnership, the Dudley Community Partnership. David and I talked to Dennis Hodson, Director of the Partnership about the challenges of supporting people-led development in the age of public austerity, including the tale, which hit national headlines, about what happened when a local community wanted to take over the cutting of grass verges which the local authority could no longer afford to undertake. One of the most important roles of the Our Society Strategy is in pulling together the strands of different activity in the Borough , particularly where there is funding available. Money is scarce in this field at the moment, and it would be criminal to waste it by duplicating activity and failing to take up opportunities to achieve synergies. There are some key programmes which are able to offer financial support, including the Big Lottery’s Big Local programme, Community First, and others, and Dudley’s Our Society Strategy is designed to ensure the Borough makes the most of these opportunities by strengthening the linkages between them. As highlighted in this discussion between Lorna, Donna Roberts of Dudley Council, and Joanne Weston of Dudley Community Partnership, a prominent concern is to ensure that equalities issues are given due attention. In times of tight resources it is ever more important to take advantage of free tools, like social media platforms, to help bring people together and progress their plans. In this video, Lorna talks to David Wilcox about how social media is playing an increasing role in developing community initiatives, and also touches on some of the frustrations of engaging with key public partners which are lagging behind in adopting such methods. We had an enjoyable day in Dudley, which passed by far too quickly. It is clear that there are some very interesting lessons to be learned from emerging practice in the Borough which is starting to prove that progress can be made in supporting People-Powered Change even in quite disadvantaged areas if reduced levels of funding are carefully targeted and linked together. Researchers and activists are developing ideas together on practical ways that community groups can achieve their aims in today’s hard times. Today the Third Sector Research Centre launched their Knowledge Portal, backed by £200,000 from the Big Lottery Fund. The website will feature materials including academic research, reports by voluntary organisations, government publications and training materials. Links will be provided to relevant materials at the British Library. More details here. Next week TSRC runs an live online discussion, following the previous one hosted by Guardian Voluntary Sector Network – summary of that here. This time the discussion, from 7pm 9pm on October 19, will be on the TSRC’s Beyond the Radar ideas site. A panel from the National Community Activists Network will get things started. You’ll find a report there by Razia Sharriff of the workshop run by TSRC in July. In one session Drew Mackie and I ran a card-based exercise in which people worked in groups to develop ideas for action. It was based in part on ideas first developed and mapped on the Our Society site. The ideas generation hasn’t stopped, and you can vote on existing ideas and add your own here. Dave Briggs of Kind of Digital generously provided the CiviCrowd platform used by Beyond the Radar, which for this purpose has advantages over the off-the-shelf UserVoice system that we used for the Our Society ideas generation. CiviCrowd is a WordPress-based system, with all the blogging features that offers. I think there’s a lot of scope for combining the techniques that TSRC (and social reporters) are developing, that mix research, workshop events, online ideas generation and discussion. I hope there will be scope for taking that forward in our work here with the People Powered Change team. Getting a high turn out for local elections is tough … and usually even tougher for public meetings. Why bother – does it change anything? On the other hand a lot of people will be interested in how money is spent in their neighbourhood. Could you link the money, voting and engagement? It seems so, from a conversation I had at the recent Your Square Mile launch with Richard Edwards from Manton – an estate of some 6500 people in Worksop, Nottinghamshire. Richard works for Manton Community Alliance, which since 2006 has used participatory budgeting as a way to involve people in decisions about the future of their area. You can read a case study here. As Richard explained, there’s nothing like walking down the street, and seeing a tag on the new litter bins showing that’s what you voted for, to demonstrate it is worth the effort. Last year one in four people were involved in voting – and the secret of success has been to tailor the method to individual preferences, including knocking on doors, holding small group discussions, or using Facebook. Richard says: The key thing is you have to suit your engagement method to people’s life style – if you don’t do that they are not going to take part. The budgeting process has led to an increase in voting in local elections, and also shown an increase of people’s involvement in the area in some way, from a very low base to over 60 percent. After listening to Richard I wondered whether a similar process might be appropriate on a wider scale. Why shouldn’t it be applied by the Big Lottery Fund, who supported Your Square Mile, and who grant millions of pounds each year to local groups? I find that they do, as you’ll see from this link to the Big Decision page. What does this country need the most – more recycling, better educated youngsters, stronger community spirit or new investment in science? If you were in charge of spending £10 million of lottery money to ensure it reaches the places and people who need it most, where would you spend it? Post your comments below. On the page you can see video clips about five Millennium themes, and a real time discussion about people’s preferences. The funding for Manton’s participatory budgeting runs out at the end of this year. I vote for them and other participatory budgeting projects to get some continuing support. Update: The People’s Budget is a new campaign on participatory budgetting supported by the PB Unit, Church Action on Poverty, New Start, Joseph Rowntree Charitable Trust and Urban Forum. Blog posts from Toby Blume and Julian Dobson.